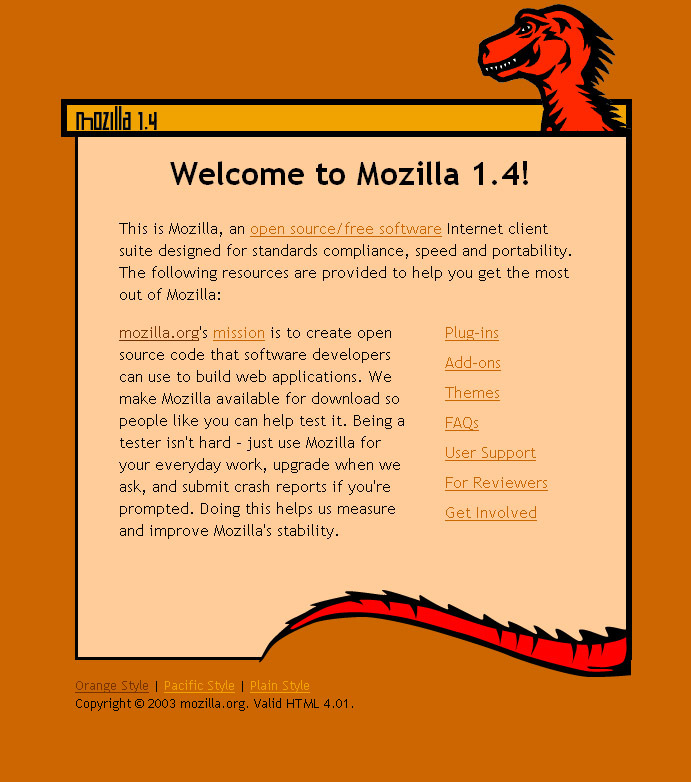 This was the first page that anyone installing Mozilla 1.4 recieved. It was a group effort lead by Gervase Markham to update the v1.0 web page. 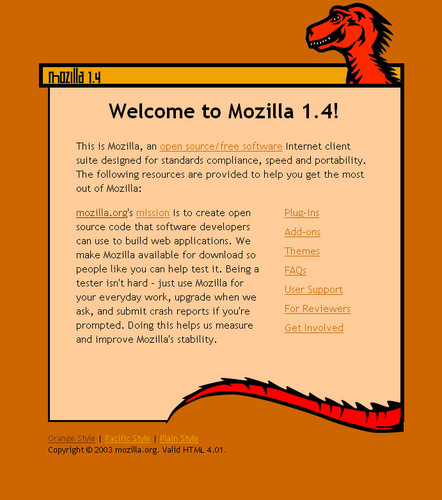 Description: This was the first page that anyone installing Mozilla 1.4 recieved. It was a group effort lead by Gervase Markham to update the v1.0 web page.